Nine has now confirmed the return for The Voice as Sunday, May 1st. It will continue Monday, May 2 and Tuesday, May 3 -but held off announcing a timeslot. A 7pm start would give the show a 30 minute headstart before TEN’s MasterChef launch. Seven has already confirmed House Rules to resume from Wednesday April 27, including a double episode on Thursday 28th. Global recording artist Ronan Keating joins Australia’s sweetheart songstress Delta Goodrem, international pop queen Jessie J and American rockers Joel and Benji Madden on the spinning red chairs to discover Australia’s next Voice, with Sonia Kruger returning as host of the series. Ronan Keating is a multi-platinum-selling artist from Ireland whose rise to fame started in the hot pop band Boyzone. After achieving global success with the group he went on to become a top solo artist, releasing chart-topping albums and touring the world. 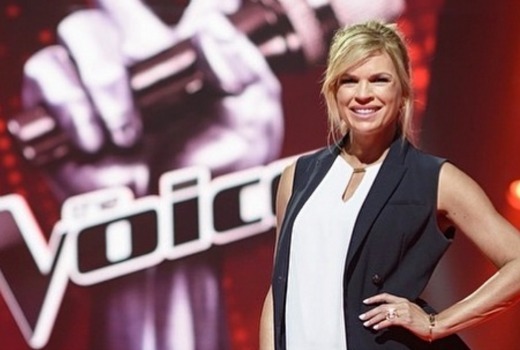 “I’m loving being a Coach on The Voice. It’s great to be able to help nurture such amazing new talent and hopefully find a new global Australian star,” Keating said. This year Australia has again produced mind-blowing vocal talent from all walks of life – an outstanding range of colourful and high-calibre singers bringing their best to the Blind Auditions in search of their dream: to win The Voice, which earned the TV Week Logie Award for Most Outstanding Entertainment Program of 2015. Delta Goodrem – no stranger to the spinning red chair – is gearing up for another scintillating season. “I can’t wait for Australia to hear and then see this season of versatile, exciting and intriguing artists. It’s been an incredible start to The Voice in 2016. We have our rockets, we have amazing talent and I can’t wait for the show to launch,” Goodrem said. The Voice will premiere over three huge nights on Sunday, May 1, Monday, May 2 and Tuesday, May 3. The Blind Auditions see artists performing in front of a live studio audience, behind the chairs of the Coaches, who will hit their buttons if they like what they hear. Should more than one Coach turn around, it will be up to them to pitch to the artist what they can offer and why that artist should join their team. The conclusion of the Blind Auditions will see all coaches with a team of 12 artists preparing for the next stage of the competition. Expect a number of exciting twists compared to previous seasons of The Voice, throughout the Battle Rounds and the Super Battle. The winner of The Voice will receive the grand prize of a recording contract with Universal Music Australia, $100,000 in cash and brand new Mazda3. The Voice is a co-production between Endemol Shine Australia and Talpa Productions. The Australian series of The Voice is filmed at Fox Studios in Sydney. Not a big fan of this show and not a fan of Sonia so its a no, no show for me. Fantastic – that means the end of those terrible desert rocket chair featuring Delta’s woeful acting. Bring back Ricky Martin and I’ll watch! In the paper they showed comments Ronan said about the voice I think while he was on x factor virtually bagging it. How things change. But is it just me or has people on the x factor been more successful? I mean Dami is going to perform on eurovision in front of millions, Samantha Jade is doing all sorts of different things, tv and still releasing singles Cyrus is still getting songs out. The only failure has been Altiyan. The only name who is still around is Harrison Craig. The other voice winners havent really gone on. I know Karise has had a child and some other issues but I wouldn’t even know last years winner. X Factor definitely has form with successful acts, some of whom did not even win the show (Idol can make the same claim). The Voice is yet to create a bonafide star. Karise Eden’s chart success was short lived although she continues to work (as do others). X Factor’s Marlisa has been pretty quiet of late. I’ve noted before Sony seems to do a better job with its winners than Universal. Thank goodness these shows are back on air. While we record Masterchef (so the wife can catch up the next morning) we’ll be able to clear away 4 months of time-shifted DVDs. I am predicting House Rules to be the loser of this 3 way battle. Has always been weaker than MKR. And I wouldn’t be feeling confident after the Reno Rumble disaster.